Hillary Clinton’s forthcoming Hard Choices is again back in the spotlight after POLITICO exclusively obtained “Benghazi: Under Attack,” the chapter that chronicles the September 2012 events in Libya that led to the death of four Americans, including US Ambassador Christopher Stevens. “Those who exploit this tragedy over and over as a political tool minimize the sacrifice of those who served our country,” writes Clinton in the 34 page chapter. In the chapter, Clinton writes of a “regrettable amount of misinformation, speculation, and flat-out deceit by some in politics and the media,” but foreshadows new information to offer a greater understanding. 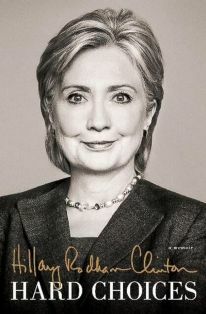 Hillary Clinton’s first television interview is scheduled for June 9 – the eve of the book’s release by Simon & Schuster – with Diane Sawyer. The following morning, Clinton will sit down for a live interview with Robin Roberts for “Good Morning America.” It was also announced yesterday that she’ll close out Bret Baier’s “Special Report” and open Greta Van Susteren’s “On the Record” in a joint interview on June 17 from 6:45 – 7:15 pm. Earlier this week, the book’s Author’s Note was released. For the full exclusive, click on over to POLITICO.